The Lapiplasty® Positioner is engineered to correct your bunion from all three planes, so you’re more likely to experience lasting results and effective relief from bunion pain. With her expertise in the most advanced bunion treatments, Meeta Pancholi, DPM, of Pancholi Foot and Ankle can help restore your healthy toe joint and minimize bunion discomfort with the Lapiplasty procedure. Find out if this minimally invasive bunion correction surgery is right for you by booking an exam at the office in Hazleton or Palmerton, Pennsylvania. Schedule your appointment online or over the phone. What are the benefits of the Lapiplasty for bunion correction? Plus, your scar is barely visible after the Lapiplasty bunion correction and usually fades almost entirely within a year. What happens during the Lapiplasty bunion procedure? The Lapiplasty procedure can be performed under local or general anesthesia, depending on your specific surgery and your needs. During your Lapiplasty surgery, Dr. Pancholi corrects all three planes of your toe joint — traditional bunion surgery simply involves cutting the bump off the bone. She uses the Lapiplasty Positioner and Lapiplasty Cut Guide to both hold your joint in its corrected position, while simultaneously making precise cuts where needed. The next step involves using the Lapiplasty Compressor to deliver controlled compression to secure your bones into proper alignment. This is followed by using the Biplanar™ Plating system to permanently secure your toe joint in place. The patented titanium technology behind this specialized Lapiplasty hardware is anatomically shaped and has a lower profile, so you can experience a faster recovery. How long is the recovery after Lapiplasty bunion surgery? Getting back to the activities you enjoy after your Lapiplasty bunion surgery won’t take long. In most cases, you can start bearing weight on your foot within a few days. Dr. Pancholi typically recommends wearing a supportive walking boot for up to four to six weeks after surgery. Usually, by about six to eight weeks after a Lapiplasty procedure, you can start slipping into your normal shoes and walking around, as compared to 12-16 weeks with traditional bunion surgery. A full recovery in which you can return to all of your regular activities, including exercise and running, can take about four to six months. Because the Lapiplasty bunion procedure requires advanced training, it isn’t offered by all surgeons. 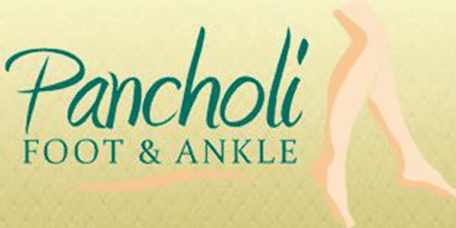 But at Pancholi Foot and Ankle, you can undergo this highly advanced procedure, so you can expect lasting results. Book your Lapiplasty consultation at Pancholi Foot and Ankle, and get relief from bunion pain once and for all. Click on the online scheduler, or call either location directly.